My experience with Paul was beyond great. He went out of his way to find me exactly what I wanted. I was very picky due to me coming from driving a BMW to a Jeep Wrangler. The options on my Wrangler are everything I wanted and then some. Paul took me to the best Finance Manager Lauren Whitcraft. They both were great. Inquired a vehicle online. Our salesperson has vehicle ready for test drive when we arrived. Answered all of our questions. Very smooth purchase. Thank you. I have bought 3 cars from Hayes. The service is great. Thank you Jim "The Hatman" Sells and crew. You never under perform. See you in another 4-5 years, or maybe sooner. I have bought my second truck from Jim at Hayes in Lawrenceville. This is a great local dealership located in Lawrenceville, GA. Jim is very knowledgeable on the vehicles and offers a very no pressure approach. The team at Hayes is great. Very family oriented. I highly recommend this dealership. Welcome to Hayes CDJR Lawrenceville’s website, where you can browse our entire inventory of new 2017 – 2018 vehicles or find a used Chrysler, Jeep, Dodge and RAM at our Stone Mountain, Norcross, Buford, and Winder region dealership. Come visit us to test drive a vehicle, speak to one of our experts, or discuss auto financing options. You can also call us at 470-264-5440470-264-5440 or contact us online. Hayes CDJR Lawrenceville provides quality vehicles from Dodge, Chrysler, Jeep and RAM to the Alpharetta, Athens, Dacula, and Lawrenceville, Georgia area. Our large selection of cars, trucks, vans, and SUVs ensures that we have a vehicle for everyone, no matter what it is you’re looking for. 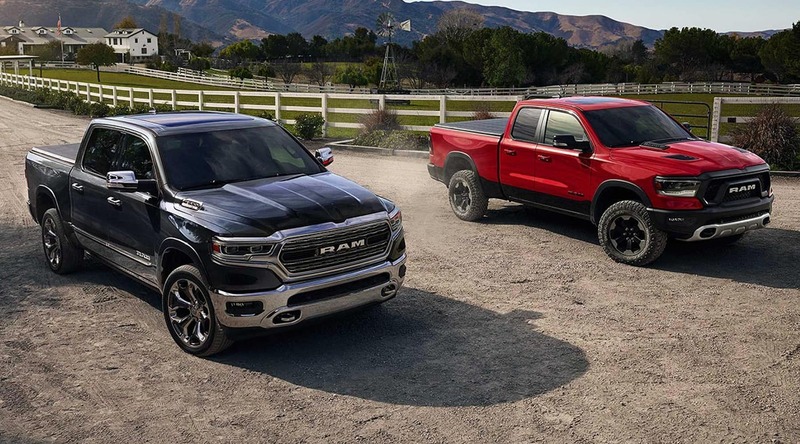 While you’re visiting our dealership’s website, take a look at our inventory of new 2017 – 2018 Chrysler, Jeep, Dodge and RAM vehicles, including the new RAM 1500, Durango, Challenger, Charger, 200, Town & Country, Patriot & Wrangler in Lawrenceville, GA. Hayes CDJR Lawrenceville is a leading provider of new and used cars, trucks and SUVs to the Stone Mountain, Norcross, Buford and Winder area thanks to our quality automobiles, low prices, and superior sales staff. We encourage you to come and visit us at 719 Duluth Hwy, Lawrenceville, GA to view our selection in person, speak to a sales professional or take a RAM 1500, Durango, Challenger, Charger, 200, Town & Country, Patriot or Wrangler for a test drive. Call us at 470-264-5440470-264-5440 if you have any questions about a new or used Chrysler, Jeep, Dodge or RAM from Lawrenceville that we can answer for you. If you’re looking for a used car in Lawrenceville, we have a large inventory to choose from. From used cars, trucks, sport utility vehicles to mini-vans, our selection has something for every person and need. Hayes CDJR Lawrenceville’s inventory of quality pre-owned vehicles has people from all over the Alpharetta, and Athens, Dacula, GA region coming to our Chrysler, Dodge, Jeep, RAM dealership in Lawrenceville. We offer great deals on our used cars and can help you finance them as well. If you can’t find the car you are searching for, just complete our form, and we will alert you when we locate it. We also have an excellent selection of certified used cars in Lawrenceville to browse. 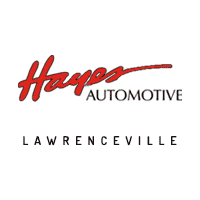 Hayes CDJR Lawrenceville offers a variety of automotive services at one convenient location. Are you wondering how you are going to pay for your new 2016 – 2017 vehicle purchase? Visit our department for auto finance in Lawrenceville where our financial professionals will review the various options for a car loan in Lawrenceville or a Dodge, Jeep, or Chrysler lease in the Dacula area that are available on the vehicle you are interested in purchasing. By working with a variety of financial institutions, we are the Chrysler, Jeep, Dodge, and RAM dealer that will get you a low-interest car loan or Dodge, Jeep, Chrysler lease in Lawrenceville. Fill out the Hayes Chrysler Dodge Jeep RAM online auto finance application and begin the car loan process from the comfort of your own home. If you are in need of Chrysler, Jeep, Dodge and RAM car repair in Lawrenceville, come to Hayes CDJR Lawrenceville where we have a state-of-the-art repair facility. Our highly trained and experienced technicians can quickly identify and repair any issue your vehicle may be experiencing. If you would like you can schedule a service appointment for your Chrysler, Jeep, Dodge or RAM car online. We repair and service vehicles from all over the area including Alpharetta, Athens, and Dacula. In addition, we stock a huge inventory of Chrysler, Jeep, Dodge and RAM car parts in Lawrenceville so you can repair your car, truck, van or SUV yourself. If you’re not sure about what part you need then come and let us help you find it! Schedule auto repairs or vehicle maintenance near Lawrenceville today with our online service form. The entire staff at our Hayes CDJR Lawrenceville Lawrenceville would like to thank you for your interest in our new and used car dealership. Please contact us anytime by phone at 470-264-5440470-264-5440, email or by following our step by step directions from the Stone Mountain, Norcross, Buford and Winder areas. We look forward to your visit!